This vegan hot and sour soup is such a treat for the senses that I can never eat just one bowl. 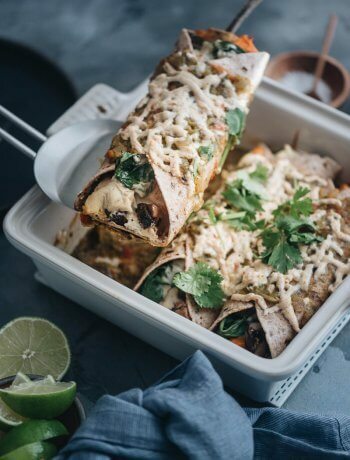 It’s aromatic, spicy, and filled with nourishing veggies of all different textures. And the tender tofu cubes make it substantial enough to be a meal on its own. I always love going back to China for many reasons, but a big one is the food. Especially the home-cooked meals at my in-laws’ place. After a full day of flying, it’s a real relief to have a simple yet delicious meal. And it seems like every time my wife and I go back, my mother-in-law has some hot and sour soup, stir-fried green veggies, and freshly baked whole grain bread, all waiting for us when we arrive. The soup is my favorite part of this homecoming meal. It’s piping hot, slightly thickened, and loaded with different kinds of veggies. It has a spicy, fragrant edge from the generous doses of white pepper and vinegar. It’s a combination of diverse textures, flavors, and aromas. Each bite contains something different and something interesting. Tender tofu cubes. Chewy mushrooms slices. The different crunches of bamboo shoots, wood ear mushrooms, and shiitake mushrooms. And the garnishes, fragrant, nutty sesame oil and chopped cilantro, elevate the soup to the next level. I cannot eat just one bowl of this soup. There’s just too many things to enjoy about it. 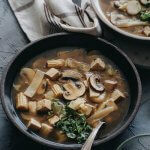 What makes this vegan hot and sour soup special? I’d say there are two things that make this soup really satisfying – the core hot-sour flavor and the variety of ingredients that go into it. The signature hot-sour flavor comes from just two ingredients and they are critical – ground white pepper and vinegar. The white pepper gives the soup the “hot” part of its name. It’s not a chili pepper spiciness as you might suspect. The vinegar gives the dish that bright tartness that you can taste with your nose before you even put the spoon in your mouth. The variety of ingredients creates a wide array of different textures, which just make the soup that much more pleasant to eat. 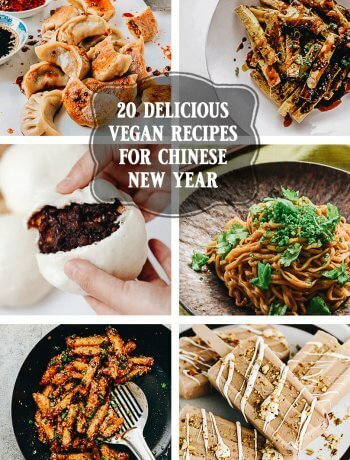 The recipe includes tofu, bamboo shoots, mushrooms, cabbage, baby corn, and water chestnuts. 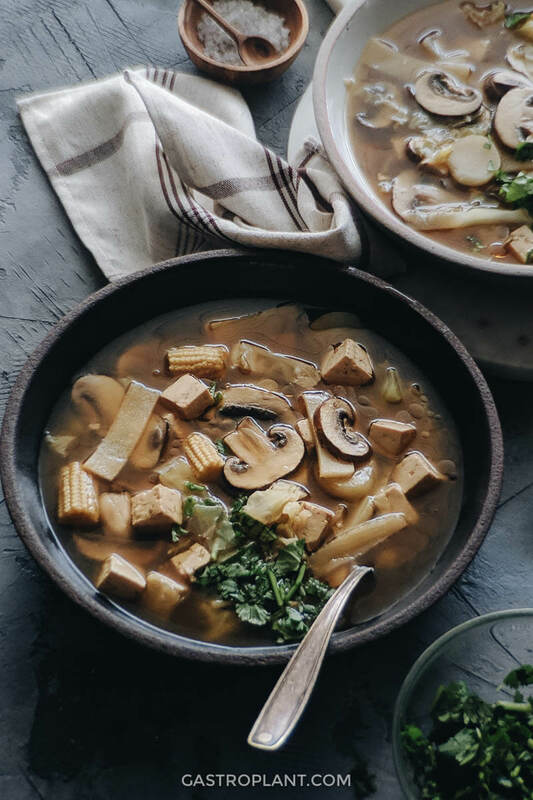 You can customize your soup to include other things as well – spinach, wood ear mushrooms, bok choy, tempeh, and corn kernels, to name a few. While this soup has quite a few ingredients and a lot of complexity of flavor and texture, it’s really easy to make. 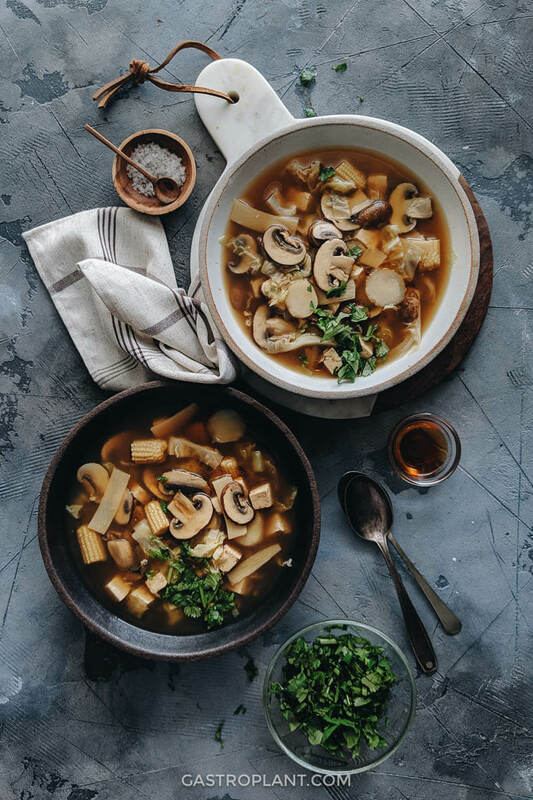 You bring some vegetable broth to a boil, add the prepared ingredients to the boiling broth, simmer until the ingredients are cooked, then add a starchy slurry to thicken it. 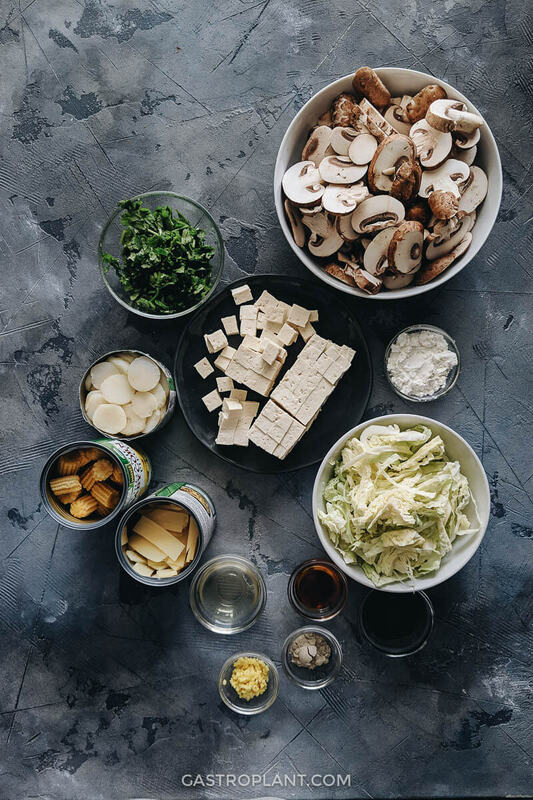 There is a bit of prep involved in chopping the mushrooms, ginger, tofu, cabbage, and cilantro. It also helps to chop the baby corn into bite-sized pieces. You can do this knife work while the broth is coming to a boil and it will shorten your cooking time. 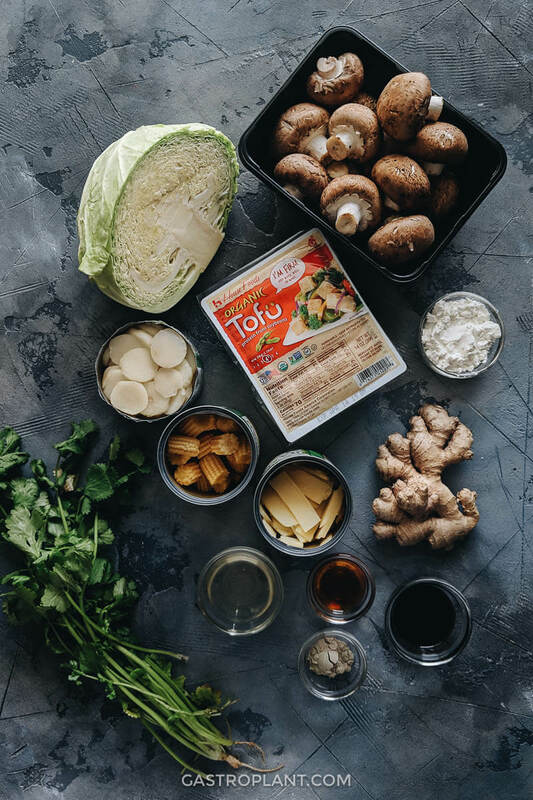 What kind of tofu should I use? You may (or may not) be asking yourself this question. It’s worth thinking about if you cook tofu with any frequency. I recommend medium-firm or firm for this one, as it will be soft enough to absorb the flavor of the soup quickly, yet it won’t break apart into tiny indistinguishable chunks when stirred. This post is sponsored by House Foods, though opinions expressed here are my own. I’ve admittedly made this recipe a bit friendlier for non-Chinese home cooks. Some of the ingredients that would go in a proper Chinese hot and sour soup can be hard to find outside of China, so I’ve modified the traditional version slightly. However, if you really want to go authentic with this soup (according to my mother-in-law) there are a few substitutions you can make, and any combination of these will really enhance the dish. Use fresh shiitake mushrooms instead of brown mushrooms. Shiitake are more intensely flavored than brown and will give the soup a deep earthiness. You should reduce the amount of mushrooms from 1 pound to 1/2 pound (or perhaps less) if you’re using shiitake because they are so powerful. Add wood ear mushrooms. Wood ear mushrooms are enjoyable because they have such an interesting texture. You can buy them dried – just rehydrate them, slice them, and add them with the other mushrooms. 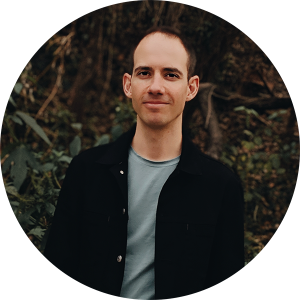 They’ll give your soup that satisfying crunch – it’s somehow both brittle and chewy and is pretty much a requirement for real hot and sour soup. Add mushrooms, tofu, baby corn, bamboo shoots, water chestnuts, ginger, soy sauce, and salt to the pot of stock. When pot returns to a boil, reduce to medium-low heat and add the cabbage. In a cup or glass, combine the cornstarch with 1/4 cup water. Stir well to form a slurry. The cornstarch should be dissolved. Use a fork or whisk for best results. Combine the white pepper and vinegar in a small bowl. Stir well. When the cabbage is cooked, about 5 minutes after adding it, stir the cornstarch slurry into the pot of soup. Remove the pot from the heat. Add the white pepper vinegar mixture and stir well. Taste the soup. Add salt or vinegar as needed. Serve hot and garnish generously with cilantro and sesame oil. Be careful when measuring out the white pepper. 1 teaspoon of pepper makes for a spicy pot of soup. Reduce to ½ teaspoon if you prefer a milder soup. This amount of starch will thicken the soup a bit, but if you want it thicker, as you’d get at a restaurant, you’ll need to add more. I recommend making a double batch of the cornstarch-water slurry and gradually adding it while stirring until it reaches the desired thickness. 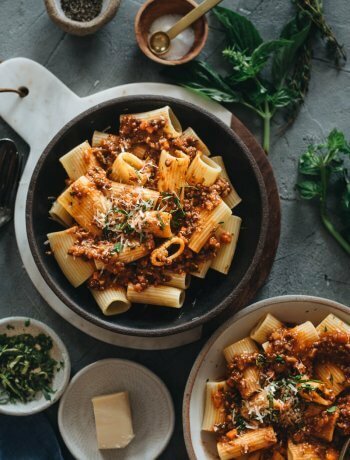 I tested this recipe using unsalted rice vinegar with a 4.3% acidity. If you are using Chinkiang (Zhenjiang) vinegar you may not need as much. The same goes for Taiwanese black vinegar. Check the acidity and gradually add it until it’s sour to your liking. Do not continue to heat the soup after you've added the vinegar and pepper. Doing so could cause the soup to become bitter.